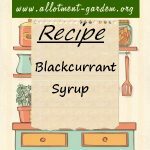 Recipe for Blackcurrant Syrup. Packed full of Vitamin C and loved by children. Dilute with water or soda for a refreshing drink. Recipe for Blackcurrant Liqueur. Tuck it away for a special occasion and/or add a drop over ice-cream. It only gets better the longer you leave it !! Recipe for Blackberry Brandy. Scrumptious on a cold winter's evening or mixed with iced lemonade on hot summer's evening if you have any left by then. Recipe for Damson Gin. Decant the spirit for a winter warmer. Use the rich alcoholic damsons as a pudding and don't drive afterwards! Recipe for Rhubarb Vodka. This can be done with other fruit than rhubarb - for example, raspberry or blueberry. Makes a nice present. Recipe for Moru Drink. A cooling drink from India - our fame must be spreading! This is one of the most refreshing drinks you can imagine.